Yoga for all - This blogs provides the information about yoga poses and its benefits for the beginners to perform at home. Learn more! Yoga definitely counts as exercise. Yoga helps to burn calories when they practice faster. The study has found that faster version of the yoga postures burned more calories than doing at normal speed. They also reported that yoga exercise has the same effect as the aerobic exercise on metabolic activities. Yoga is the core component of the mindfulness-based stress reduction program. In yoga, we can learn to unite body and mind. The more we practice, the more we go deeper into the poses. Yoga exercise is extremely good to reduce weight. Yoga is effective when it comes to improves flexibility, purification, muscle tone, calming the mind, providing inner peace and metabolism rate. Yoga also lessens the symptoms of depression, headache, anxiety, diabetes, arthritis etc. 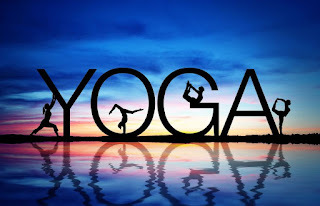 Yoga exercise regulates the flow of blood, improves concentration, improves digestion, stimulates and massages body organs and promotes good health. Regular yoga practice reduces the risk of hypertension, heart diseases. Gym workout usually increases the body ache and pain. Yoga relieves you from pain and takes you to the relaxed state. It increases the body flexibility and boosts the stamina. Super brain exercise helps to retain the energy from the lower level and pushes upwards to feel the inner peace. 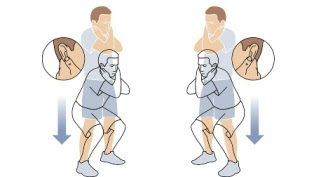 Researchers had found that Alpha waves are increased after doing this exercise. Super Brain yoga stimulates our brain power and recalls the things better. It's not only to energize brain but also balance our chakras or energy centres. This exercise synchronizes both sides of the brain and activates the brain cell. This is our tradition to perform in front Lord Ganesha but it's been rediscovered and proved scientifically by foreigners. Practice Superbrain yoga daily and power up your concentration. Check out yoga asanas for brain to improve its power. 5 Great Morning Yoga Poses you should try at Home! Yoga in the morning time is really amazing. This clears our mind and amenable to creative ideas and gets energized for the whole day to stay positive. Choose a place to move your body freely. Let the environment be calm and clean. This way you can get into yoga. Set of 12 asanas where you can stretch your right and left side of the body benefits it strengthens the entire body. San Salutation exercise promotes weight loss and helps in improving the blood circulation. It also promotes hair growth and provides a glowing skin. Doing trikonasana strengthens the arms, legs and knees. It increases the flexibility and reduces the blood pressure. Also aids in digestion. This asana helps alleviate back pain and helps to reduce stress and anxiety. It improves the blood circulation throughout the body. Bhujangasana helps to get rid of tummy fat. This asana stimulates the digestive system and reproductive system. It makes the spine stronger and firmer. This asana improves the blood circulation and helps in improving the digestion. It stimulates the thyroid gland and helps in regulating metabolism. Strengthen, balance and revitalize your body and mind with these morning yoga poses to perform at your home as a beginner. When you are new to yoga, it is hard to start up with first step. These blog helps to start practice yoga at home with tips and techniques. All the postures will be perfect for the beginners which helps to stretch all the muscles of your body and calms the mind. At beginning it will be difficult to be in proper pose. Relax yourself and perform with smile on your face. Yoga is a lifelong process. In later days, you can stretch as much you could. Keep practicing at home! Before doing the beginners yoga poses, it is advisable to consult the physician if you have any health issues. Also at the beginning, a yoga teacher’s presence is essential for building your confidence that you are doing yoga properly. Surya Namaskar consists of two words: Surya and Namaskar. Surya means Sun and Namaskar mean salutation or worship. Sun salutation is the single yoga exercise that impacts all the organ systems of the body. Thus it is the salutation to the Sun god. Surya Namaskar or Sun Salutation poses to lengthen and strengthen, flex and extend many of the main muscles of the body throughout the system. It warms our body and calms the mind. 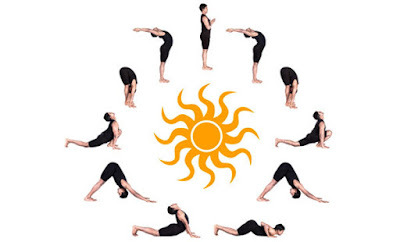 To attain the best results, start practicing Surya Namaskar at home. Yoga - the physical, mental and spiritual transition. Yoga has the power to calm the mind and strengthen the body. Yoga brings physical and mental disciplines to achieve the peace. Yoga derived from Sanskrit word "yuj" means union or connection. Yoga originated in India more than 5000 years ago. Yoga was practiced by Yogis and spread among the disciples. Yoga uses asanas for the focused concentration on body parts and pranayama, the breathing technique to integrate the body, mind, and soul. Doing yoga daily helps to stay healthy and fit. There are numerous benefits of practicing yoga. Tones muscles - Consistently practicing yoga leads to better muscle tone. Keep practicing yoga and relish in benefit. Explore the blog for more!